KayKiSpeaks.com: OUCH! 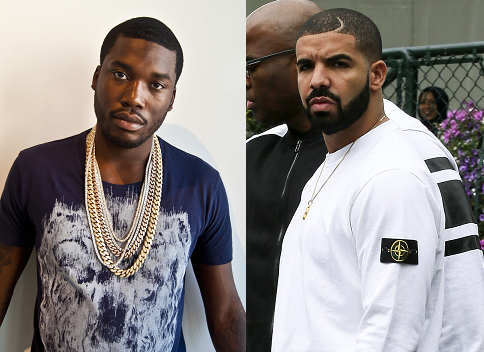 Drake Releases Second Meek Mill Diss, " Back to Back"
The alleged ghost writer Quentin Miller eventually responded and cleared things up. He was clear that Drake is responsible for his own genius rhymes..not sure most of us doubted that anyway. While Meek has continued to "tweet through it" as I like to call it, Drake has dropped not one, but TWO responses on the mic. This is hip hop and Drake did it the right way. He went straight to the rhymes. What frustrates me is the fact that Meek has yet to get off of twitter and get in a booth to respond. He very well can go in on a battle rap situation I'm certain, but he might have barked up the wrong tree this time. While he's yet venting, Drake is ru pauling him through these soundcloud streets. The first release, Charged Up was the calmer Drake we all know. Meek's response was that it was soft as baby lotion. Welp...Drizzy wasn't finished. The most recent release, "Back to Back" dropped this morning, and it's got people from Philly ready to disown their beloved Mill. For inspiration on Back to Back, Drake uses the 1993 World Series when the Toronto Jays beat the Phillies. The win made the Jays champs for the second time in a row, hence the term back to back. Even the cover art is a jab as it depicts Joe Carter's infamous walk off from that game winning home run. The drag of that photo is every depiction of the way Drizzy slaughters Meek through punchlines on this record. I don't even know how Mill can clean this up at this point. He's probably so stressed trying to write his response. Hopefully the money can also turn his tweets into a good response, or he will go down in rap history as one of the loudest disappointments ever! Drake is a man who knows how to woo women with a softer approach, but please don't let that fool you into thinking he doesn't boss up when necessary. Check out Drake's Back to Back below. Ouch!